This is the fifth of a series of six reports providing insights into the strategic vision and the operational actions tourism destinations worldwide are developing to attract visitors. This project has been carried out within the framework of the ETC-EC ‘Destination Europe 2020’ initiative. 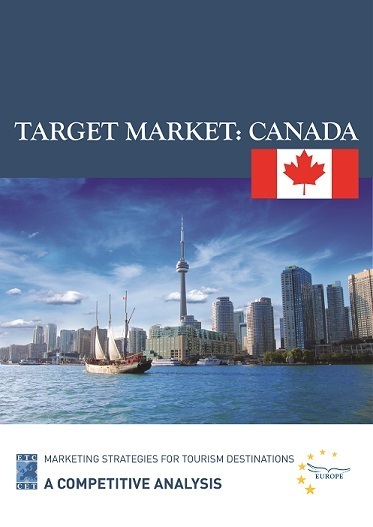 The report discusses Canada, the 3rd largest non-European market for tourist arrivals in Europe in 2013. Canadians are also among the highest spenders on international travel, ranked in 7th place by UNWTO. This fact-finding research offers a bird’s-eye view of the competitive environment, and a portrait of the tourism strategy and marketing activities competing destinations have developed to win shares in this crucial market.